Following a number of safety issues being raised about the newly-redeveloped Broadway area, safety measures have now been introduced. In August of this year, the Times reported how Larne pensioner, Margaret Carmichael, fell in the transformed space. Margaret (75) suffered head injuries and two broken arms as a result of the fall which occurred on August 18. Margaret, who is still in pain after the incident, sustained the injuries after tripping over a low step in Broadway. The town centre location received a complete face-lift thanks to a £2.2m public realm scheme, which has seen the area transformed into an open space. Following this incident and similar reported cases of people falling, railings have now been constructed in the area. 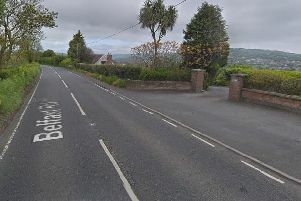 Commenting on the new safety measures, a spokesperson for Mid and East Antrim Borough Council said: “The railings did not form part of the original scheme.